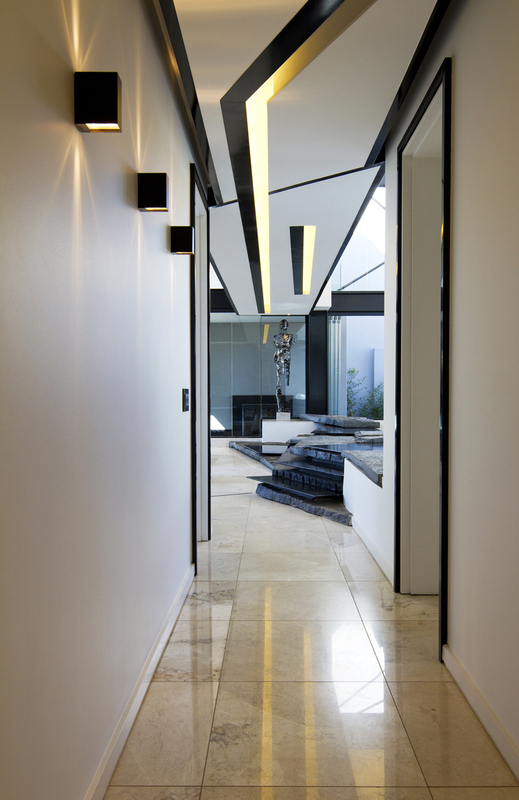 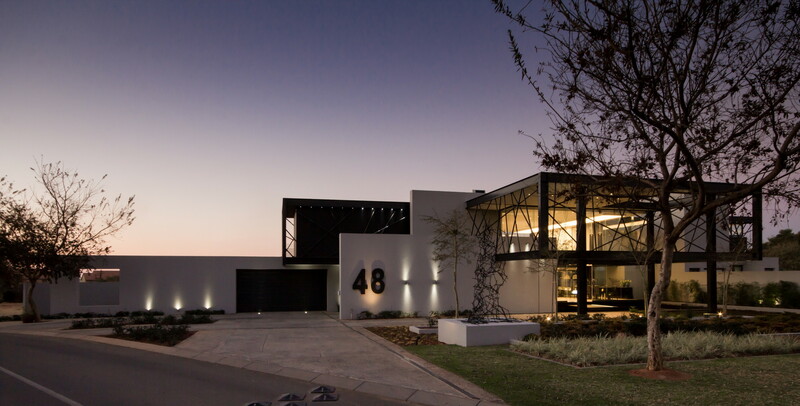 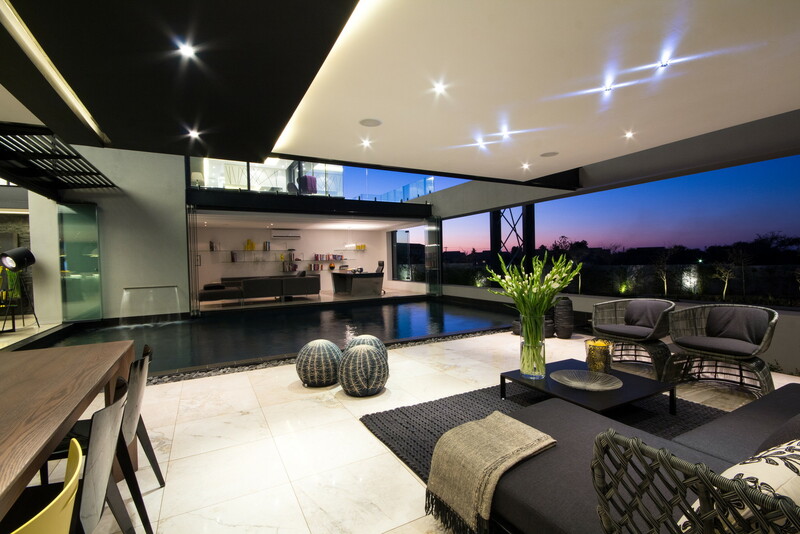 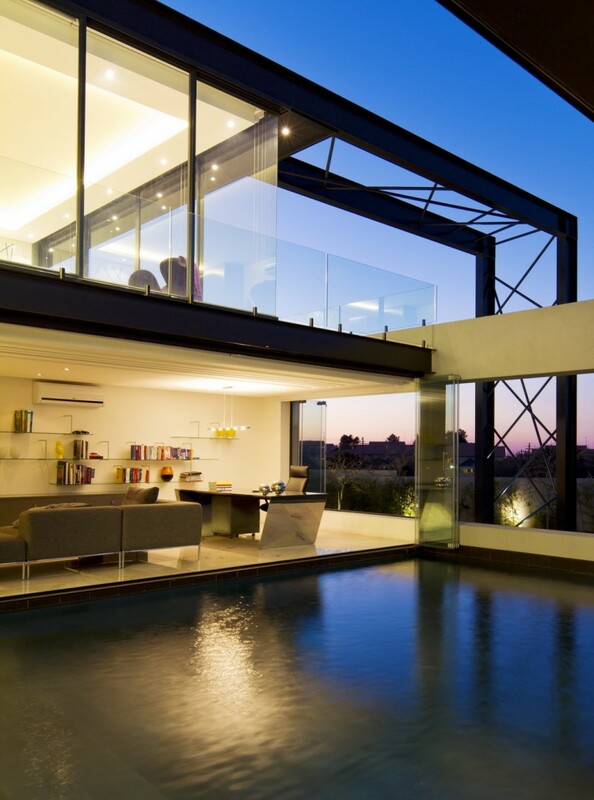 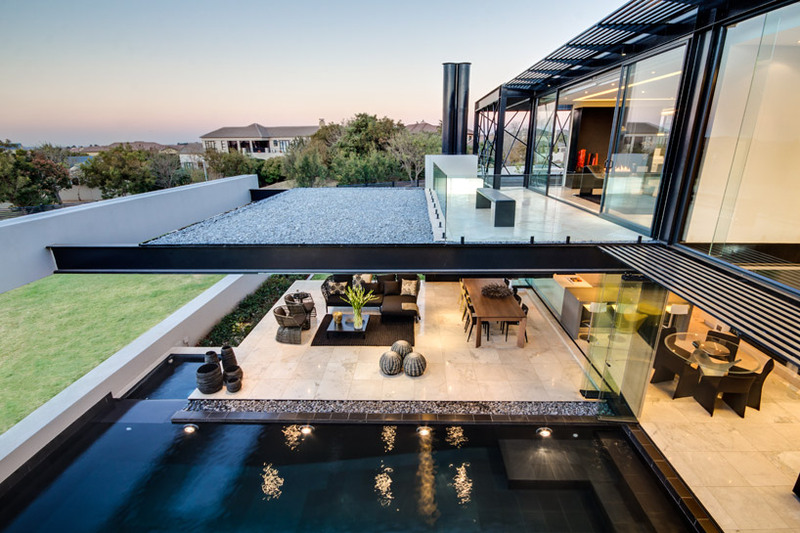 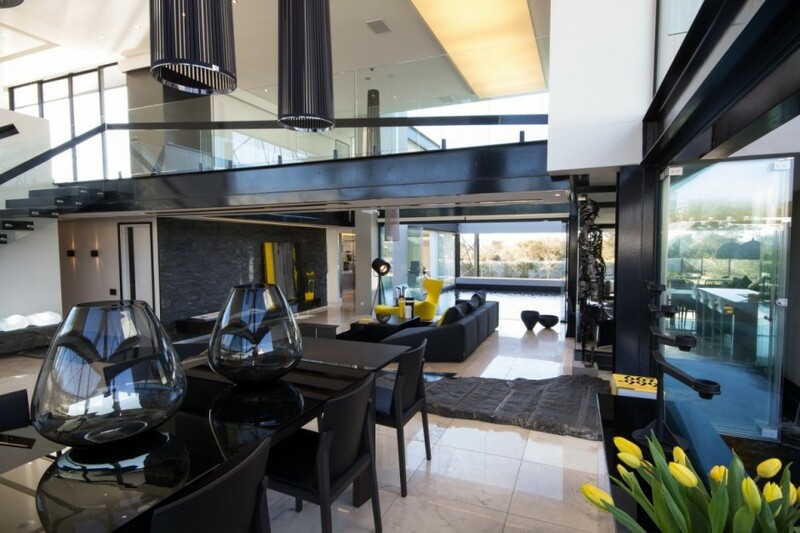 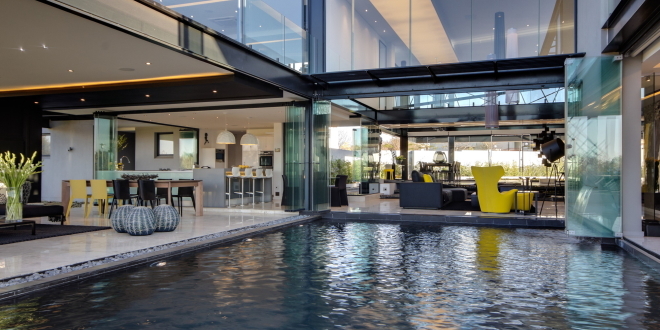 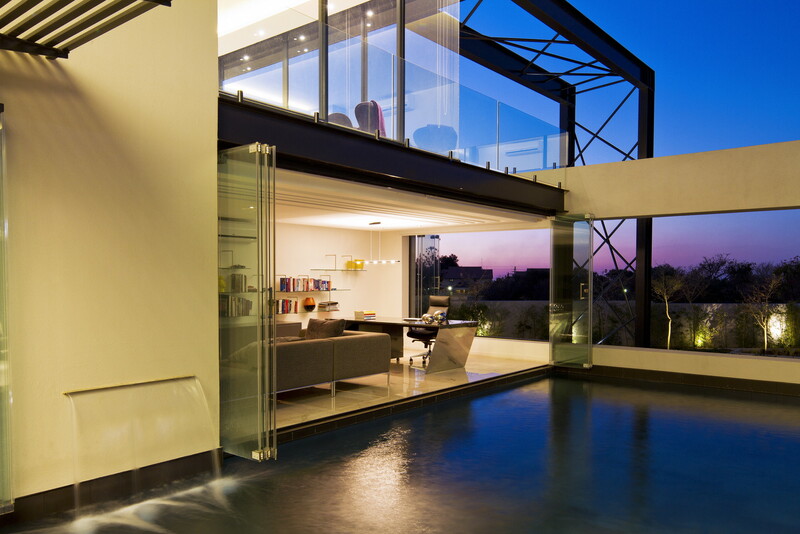 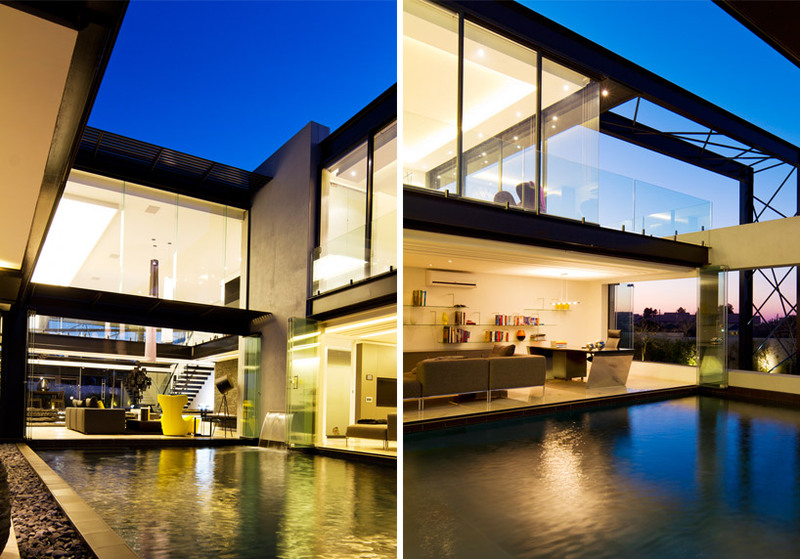 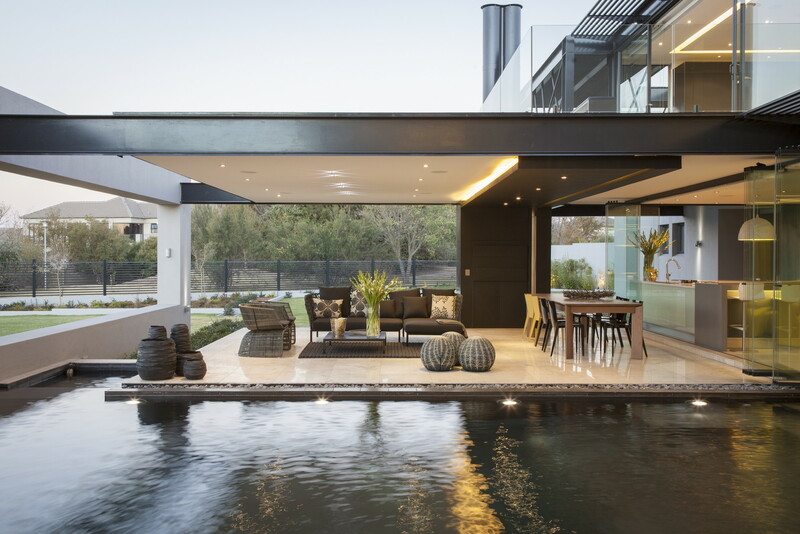 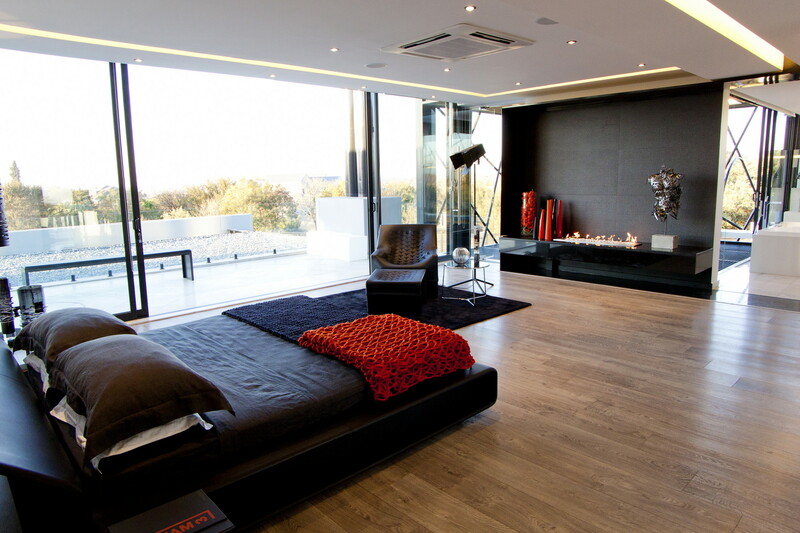 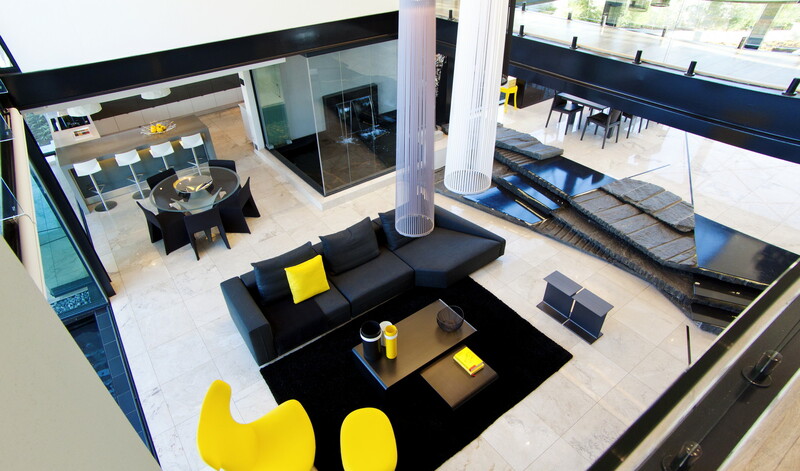 The Magnificent House Ber was design by Werner van der Meulen of Nico van der Meulen Architects and it is situated in Midrand, South of Africa. 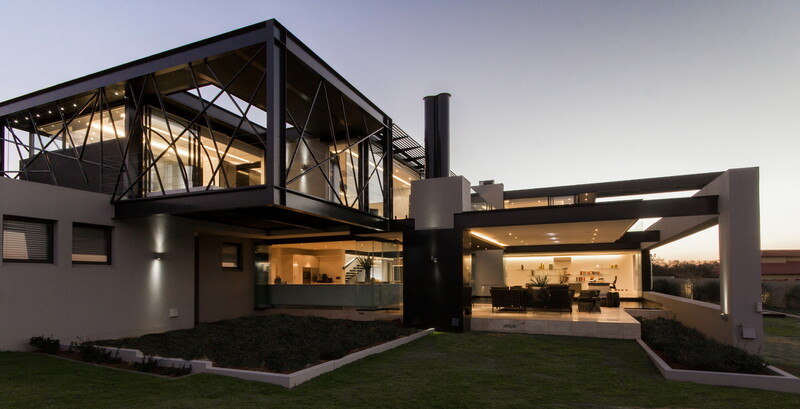 The house has rectangular form and the center of the house is the living room so that why all rooms are structured around it. 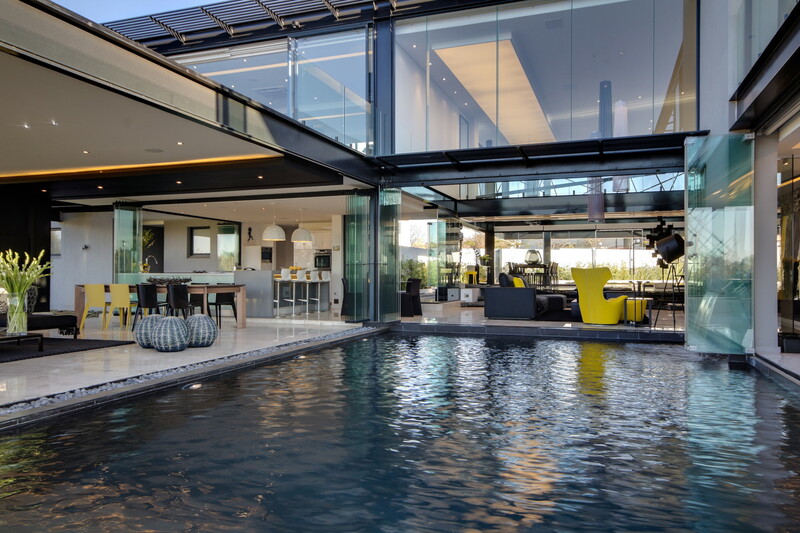 It is surrounded by a koi pond, pool, and covered patio areas. 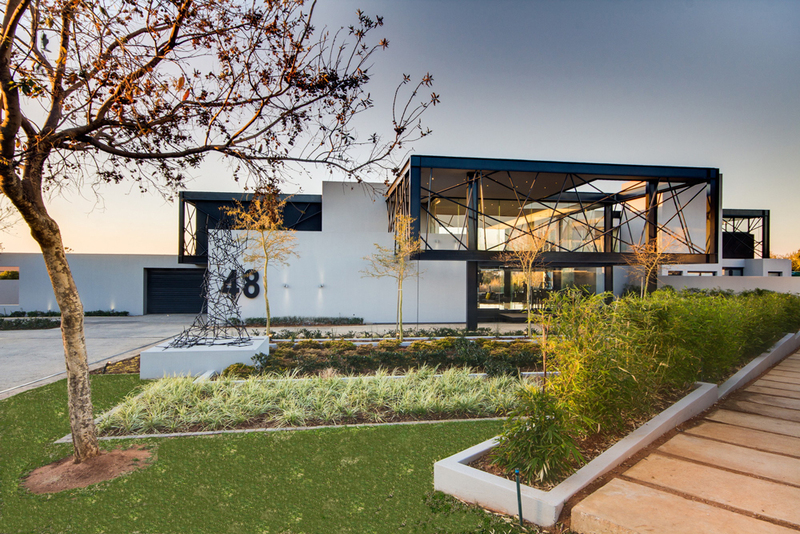 This house has double volume spaces and an open plan where granite, light and water come together while the bold steel bars make a point of being noticed. 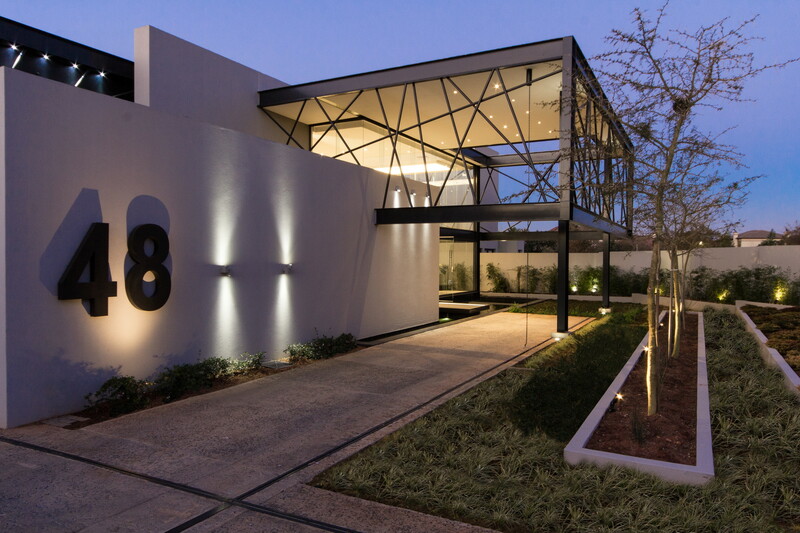 The sequence of irregular steel bars placed creating patterned façades which at first time were conceived to represent security but now have become the very feature construction making this house the unique in its environment. 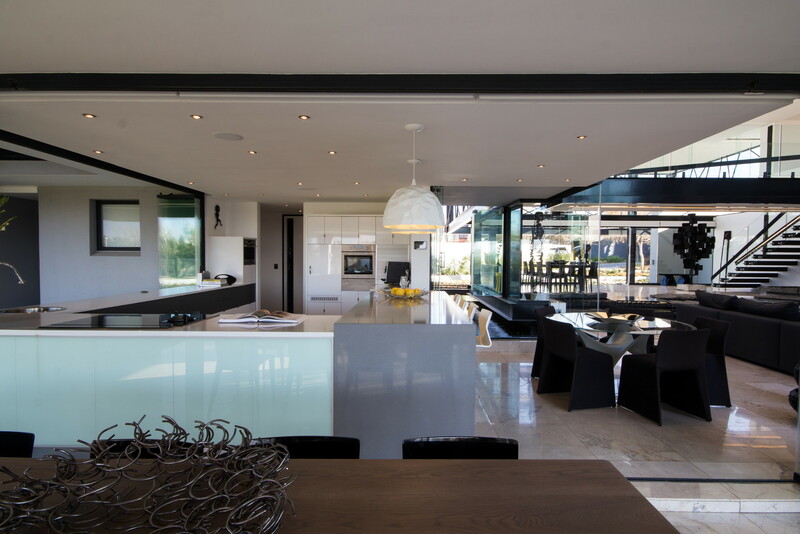 The Illuminated ceilings also give the feeling of transparency and fit into the overall modern atmosphere. 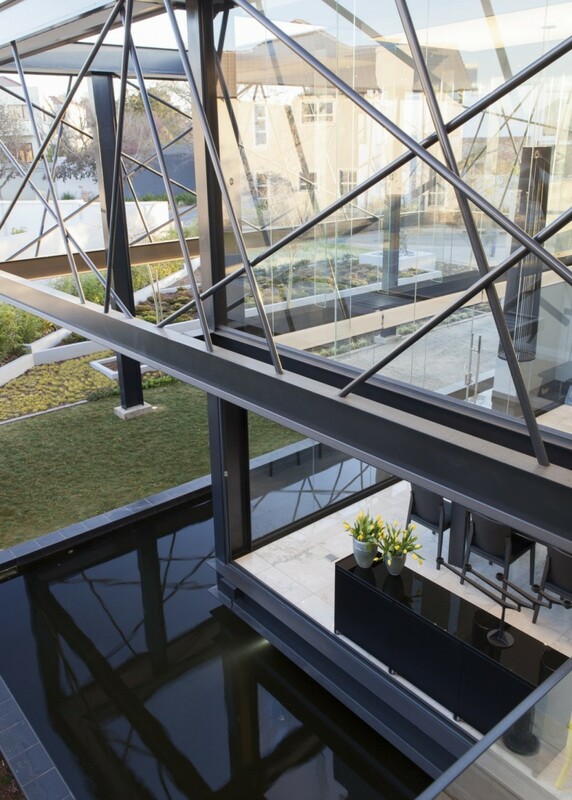 The entrance of the house is through the porte cochere that goes over the koi pond to the front door, than continues through the hall, dining room – elevated above the water feature, family room and to the pool on the north side. 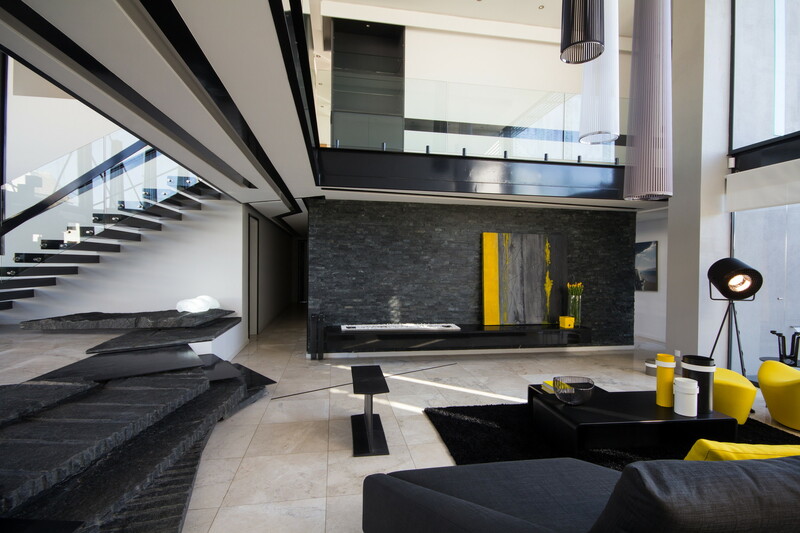 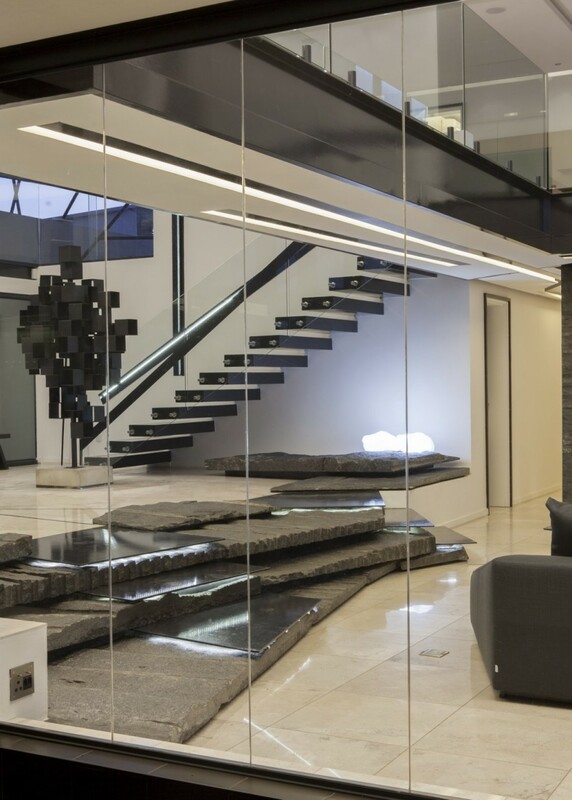 Very interesting in this house are also the broken slabs of granite with steel sheets that function as steps between dining room, hall, family room and kitchen. 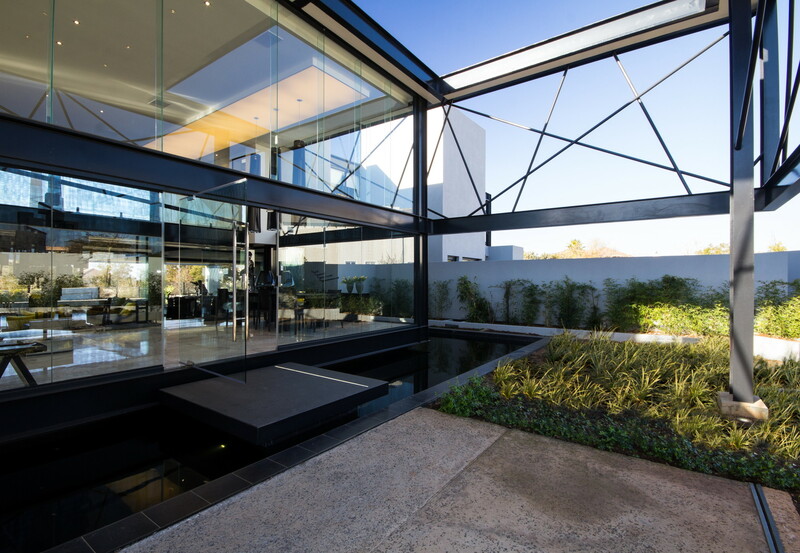 There are the frameless doors which opens up to the garden on the east side from the kitchen and separating the interior from the exterior. 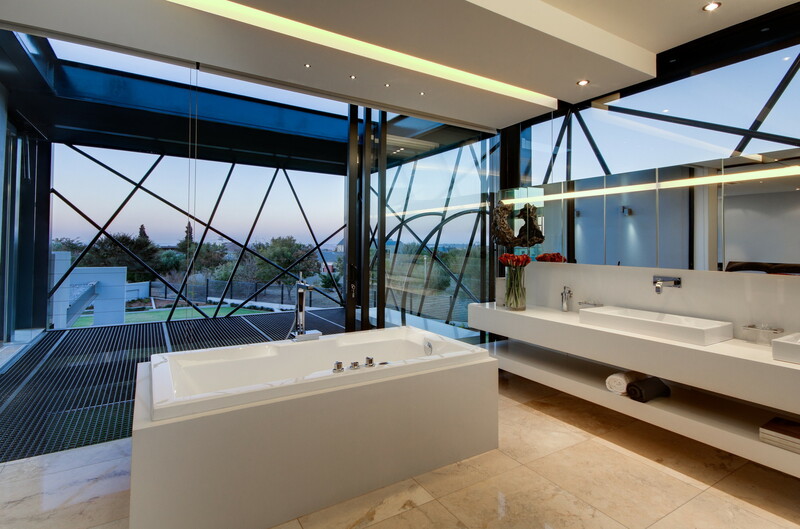 Also there is a steel balcony at the main bathroom on the north east corner that protects the kitchen from too much sun in the morning.